If you’re a qualified health or social care professional, we’ve got jobs for you at all levels, from nursing staff to salaried GPs, therapists to social workers. Here in Kent we believe in working together to achieve our aims. That means making sure that we integrate across all of our health and social care providers to attain the best possible outcomes for our communities. We offer rotational posts across Trusts and a great return to practice scheme. We are working together to develop a proposal to build a brand new medical school to train and recruit the next generation of clinical staff for this area, subject to usual processes. Our staff networks (LGBT, disability, BME) operate across the public sector and provide support and friendship through regular events. Looking to specialise? No problem, we have lots of opportunities for you to do just that, either in our acute hospitals, or in the community for some of the best-rated public sector organisations in the country. KMPT is the largest mental health provider in Kent employing over 3,600 people, and we’re rated as one of the top places to work by the Health Service Journal. You could be part of a team which is committed to improving patient care by working closely with our service users and colleagues. Always trying to improve; we listen to and learn from feedback, regularly meet with service users and carers, and we encourage staff at all levels to help shape our services. We also believe in strong partnership work. During the past year our staff and services have continued to be recognised at both regional and national level. This includes our commitment to developing apprenticeship programmes, our research work, our facilities and the work we are doing for those with dementia. We can offer you a relocation package to support you in making the step to a new career. We are a teaching Trust so we play a vital role in the education and training of doctors, nurses and other health professionals, working closely with local universities and with the medical schools in London, Brighton and Grenada. We also “grow our own” so you don’t necessarily have to have a clinical education to start your career here. With around 8,000 staff, 1,100 beds and serving a population of 759,000 people, we are one of the largest acute foundation trusts in England. We provide the full range of district general hospital services from The William Harvey Hospital in Ashford and Queen Elizabeth The Queen Mother Hospital in Margate. Kent & Canterbury Hospital in Canterbury is a specialist services hub with an urgent care centre. The Buckland Hospital, Dover, and Royal Victoria Hospital, Folkestone, provides a variety of outpatient, diagnostic and minor injury services. We work closely with our commissioners and partners in health and social care to provide services to the population we serve which help them to stay well, receive great care when they need it and support them to return home or to the most appropriate place for their long-term care needs. We are on an improvement journey. Our Care Quality Commission inspection in September 2016 found widespread improvement across all three of the Trust’s main hospital sites and praised the exceptionally caring nature of our staff. There is always more to do and we are committed to making the Trust a truly great place to work and improve on our current rating of two hospitals rated Good and the other three hospitals, and the Trust overall, as requires improvement. If you are experienced, newly-qualified or just looking for a change then why not head to the Kent coast? It’s not all retirement homes and bunions – east Kent has some of the most diverse communities outside London and some real challenges to get your teeth into. Our primary care organisations work in partnership with the world-renowned University of Kent at Canterbury on some truly innovative research (link/film). 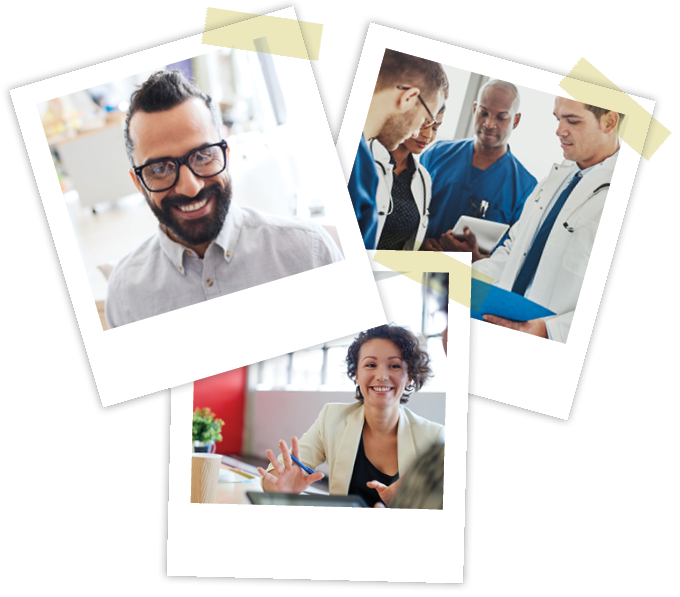 East Kent is one of the 50 NHS England Vanguard sites, leading on the development of new integrated health and social care models which will act as the blueprints for the NHS moving forward, and the inspiration to the rest of the health and care system. We are Kent’s leading provider of NHS services in the community and we’re always looking for talented and enthusiastic people to join us. We can give you support to develop your skills, and a real commitment to your personal and continued professional development. We’re rated ‘Good’ by the CQC, and more than 97 per cent of our patients tell us they are satisfied with the service we provide. We like to look after our colleagues and we have an extensive induction programme with all the support you would expect from one of the largest community health providers in the UK. We employ qualified nurses, therapists, health care assistants, doctors and consultants in a huge range of roles from specialist children’s nursing to podiatry, cardiac rehab to minor injuries to palliative care. We have a research and development department, ensuring that our clinical practice always delivers the best care for our patients. We’re committed to your health and wellbeing and we run a range of programmes throughout the year to help you make the most of life both inside and outside work. What’s different about social work in Kent? We’re understandably proud of our social workers. We recognise that social work is one of the hardest jobs in the public sector. Caring for a complex caseload of people, our social workers provide a first-rate service that first and foremost promotes the welfare of the client and their carers. We aspire towards becoming a true learning organisation. Our Practice Development Team focuses on the development of practice skills and knowledge, discussion about the latest research and methodologies, and critical time for reflection. We are diverse, supporting families with complex needs, children and adults with learning disabilities, unaccompanied asylum seeking children, older people, people living with disability and clients with mental health issues. We’ve got vacancies for social workers, senior practitioners, advanced practitioners, team managers, and occupational therapists across three services. Medway Community Healthcare (MCH) provides a wide range of high quality community health services for Medway residents (see map); from health visitors and district nurses to speech and language therapists and out of hours urgent care. We are different – being a social enterprise means we can develop and sell complimentary services, like fitness classes, or massage therapy. All the money we make from these goes back into our services so we can provide the best free NHS care. That’s why we welcome innovation. We offer superior benefits – everything you get in the NHS and more; a choice of pension schemes, flexible working, free tea and coffee, discounted gym membership, a fast track referral service for back or musculoskeletal problems and more. We insist that you strike a healthy work life balance – with generous annual leave and flexible working, a 24/7 employee assistance programme and a financial wellbeing service. Childrens services Medway Children’s Services has embarked on a radical journey of improvement, so now is an exciting time to be part of the team and help us make a difference. Our emphasis on relationships means that we promote consistency of social worker throughout the involvement with Children’s Services. Our small Social Work Pods work with families and communities to support local connections and partnership working. Whether children are supported through a Child in Need plan, or protected through a Child Protection or Child Looked After plan the same Pod will keep working with them, helping to redcue the number of changes in the lives of children and their families. Our Older People’s Teams provide personalised, outcome-focused and long-term support for older people and their families. They work closely with the integrated hospital team, local health agencies, voluntary organisations and the private sector. Medway NHS Foundation Trust runs the Medway Maritime Hospital, a busy hospital, with over 4,000 staff, treating nearly 500,000 patients every year. Set in the Medway region of Kent, we deliver exciting, inner city medicine in a rural environment. We are a project-in-progress. Our ambition is to build a team and a working environment that are second to none and truly 21st century. We are hard at work, making them a reality. Join us – you’ll become part of the team that says “I helped transform Medway”. We are led by clinicians, we listen to our patients, we innovate and we help our staff to grow. Maidstone and Tunbridge Wells NHS Trust is a large acute hospital Trust in the south east of England. The Trust was established in 2000 and provides a full range of general hospital services, and some areas of specialist complex care to around 560,000 people living in the south of West Kent and the north of East Sussex. The Trust’s core catchment areas are Maidstone and Tunbridge Wells and their surrounding boroughs, and it operates from two main clinical sites: Maidstone Hospital and Tunbridge Wells Hospital at Pembury. The Trust employs a team of over 5000 full and part-time staff. In addition, the Trust provides specialist cancer services to around 1.8 million people across Kent, Hastings and Rother, via the Kent Oncology Centre, which is sited at Maidstone Hospital, and at Kent and Canterbury Hospital in Canterbury. The Trust also provides outpatient clinics across a wide range of locations in Kent and East Sussex. The vision of the Trust is to deliver kind, compassionate and sustainable services for our community, through being improvement driven and responsive to the needs of our patients and staff, making MTW a great Trust to visit and work. Do you want to be part of an organisation that is at the cutting edge of new care models and systems that are being used to deliver mental health care to children and young people across Kent and Medway? Do you want to innovate and diversify whilst working alongside the wider health and social care teams across the County? We are currently seeking to recruit to a range of posts across our Kent CYPMHS and Medway YPWS services. NELFT offers both professional and personal growth and development with excellent and fully supported CPD and training opportunities. NELFT provide Children and Young People’s Mental Health Services (CYPMHS) in Kent, the Young Persons’ Wellbeing Service (YPWS) in Medway and the All Age Eating Disorder Service (AAEDS) across Kent and Medway. NELFT also provide award winning community and mental healthcare for over 2 million people in the London Boroughs of Barking and Dagenham, Havering, Redbridge and Waltham Forest. We also provide a number of services across Essex including an Emotional Wellbeing Mental Health Service for children and young people. Dartford and Gravesham is one of the largest NHS Trusts in North Kent, with services provided at Darent Valley Hospital, Queen Mary’s Hospital and Erith and District Hospital, for a local population of over 500,000 people. This gives people wishing to develop their skills further the opportunity to work across many different specialities. We are committed to making colleagues feel appreciated, supported and involved. 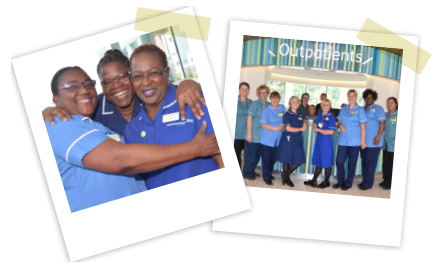 Our vision is to ensure that our Trust is an outstanding place to work providing the very best care for our patients. Everything we do is guided by our core values and behaviours. Our most recent staff survey highlighted that on a number of key findings we remain amongst the very best acute Trusts in the NHS. We believe this feedback is a reflection of our Trust values, identified by our staff and embedded throughout the organisation. We know the importance of developing staff and have held the ‘Investors in People’ accreditation since 2005, achieving the Silver Standard this year. The Trust is committed to supporting a work-life balance for all of its colleagues. We have a strong focus on innovation and improvement. We are founding member of Guy’s and St Thomas’ ‘Healthcare Alliance’ introducing new models of care to improve clinical outcomes for our patients. As our local population increases our services and skills are expanding to meet the demand. We are continuously looking for ways to develop models of best practice, enhancing and improving the services that we offer to patients. If you would like to be part of an innovative and forward thinking team that puts the patient at the centre of all it does, we invite you to #joinourfamily.